HCM City (VNA) – The APEC Network of Anti-Corruption Authorities and Law Enforcement Agencies (ACT-NET) held a workshop on intensifying cooperation in revoking corruption assets among law enforcement agencies on August 18 in Ho Chi Minh City. 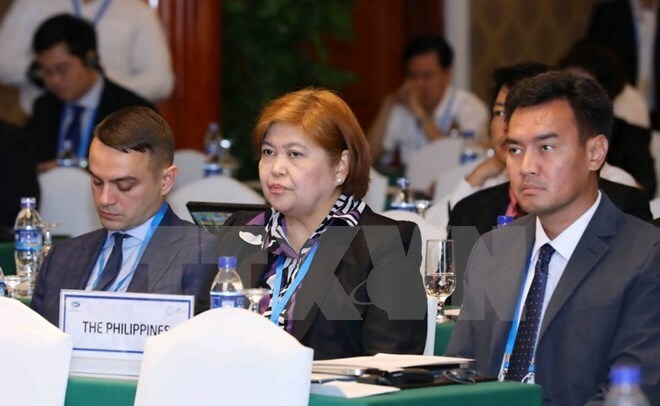 The workshop, held within the framework of the APEC 2017 third Senior Officials Meeting (SOM3), attracted the participation of many experienced speakers in the anti-corruption field, in both public and private sectors. The event offered a chance for member economies to discuss and share experience and information about difficulties, challenges as well as cooperation between law enforcement agencies in taking back assets related to corruption cases. Vietnam’s Deputy Inspectorate General Nguyen Van Thanh said that corruption is causing the country’s resources losses, reducing the efficiency of public investment, eroding trust of investors and weakening national competitiveness and businesses. Therefore, the recovery of corruption assets is an important factor to assess the success of the fight against corruption and one of the main purposes of the work, he added.